Disclosure: I received compensation by Dole Fruit and Vegetables in exchange for my time. All opinions expressed in this post are my own. One of my biggest passions is helping show people that healthy eating is tasty, simple, and doable – that’s the whole philosophy behind my blog, after all! Dole Fresh Fruits and Vegetables is a company that has these same passions, and strives to make healthy eating fun for families, and to help show that cooking at home in the kitchen can be done with minimal ingredients, and in a short time. 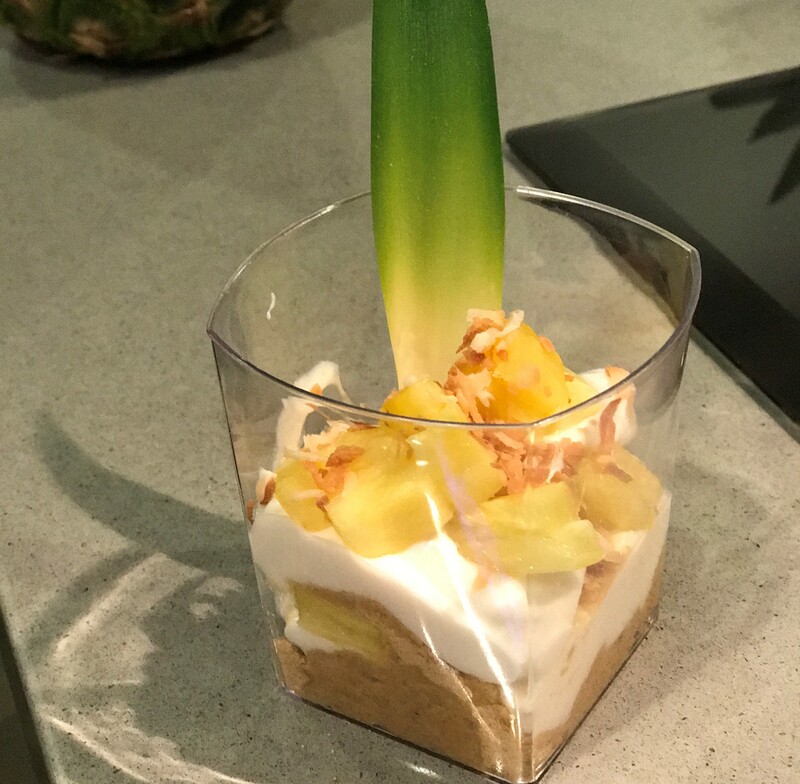 I learned some examples of these wonderful fun recipes from Dole when I attended a Dole Star Wars inspired recipes event in Santa Ana, hosted by the Dole Nutrition Institute’s executive chef Mark Allison. Dole and Star Wars have united together to try to build a healthier galaxy, by incorporating Star Wars characters on many of their product’s packaging. By doing this, they are helping children become more eager to try new fruits and vegetables. Mark Allison has taken Dole’s fruits and vegetables to make nutritious, tasty Star Wars inspired recipes, where in-person I was able to taste the 3PO salad, Wookie Salad, blue milk smoothie, and the Beepin’ Colada parfait. It amazed me how quickly he made the foods, showing how simple it was to put them together for a quick dinner or a lunch on-the-go. Also, all of the meals can be prepped ahead of time at the beginning of the week, making it even easier to eat healthy even when you lead a busy life. The 3PO salad was my favorite dish, with iceberg lettuce, blueberries, pineapple, quinoa, black beans, and a delicious spicy vinaigrette! I would have never thought to put all these items together, but it made for an incredible and exciting salad. Even the children at the event enjoyed it! The Wookie Salad was made from soba noodles, cauliflower, peanut sauce, and chicken. I had mine without chicken since I’m a vegetarian, and it was so simple and delicious. I had no clue it was so easy to make peanut sauce at home! The blue milk inspired smoothie was full of flavor and nutritious – yet so simple! It just consisted of almond milk, banana, ice, and natural blue food dye. I will definitely be making this for a post-workout snack. The Beepin’ colada was from plain yogurt, pineapple chunks, and graham cracker mixed with banana in between. It tasted like a perfect dessert without being overly sweet. Learning about Mark Allison’s and Dole’s Star Wars inspired recipes was so inspiring to make healthy food fun, and I can’t wait to incorporate many of the Star Wars recipes for my upcoming meal plans for my family. You can learn more about Dole’s mission to unite for a healthy galaxy, as well as Dole’s Star Wars inspired recipes by visiting their site here.